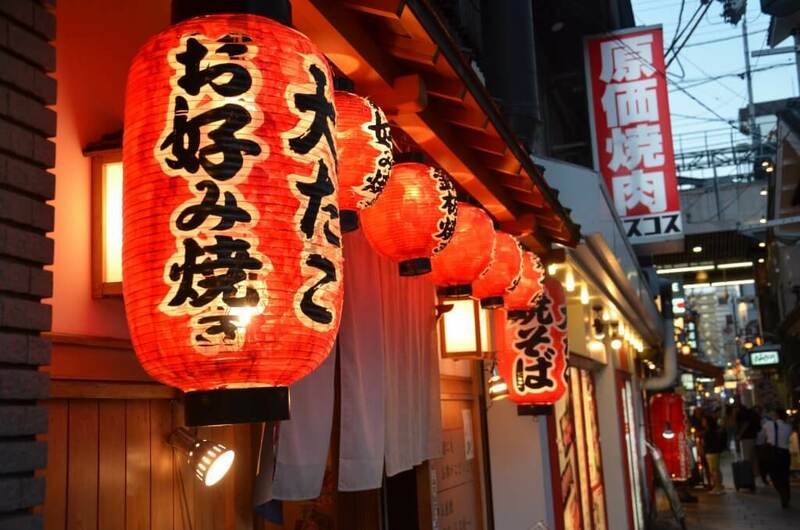 Experience an unforgettable stroll through the historical food streets of Osaka and spend an evening like the locals of Japan 3rd largest city! 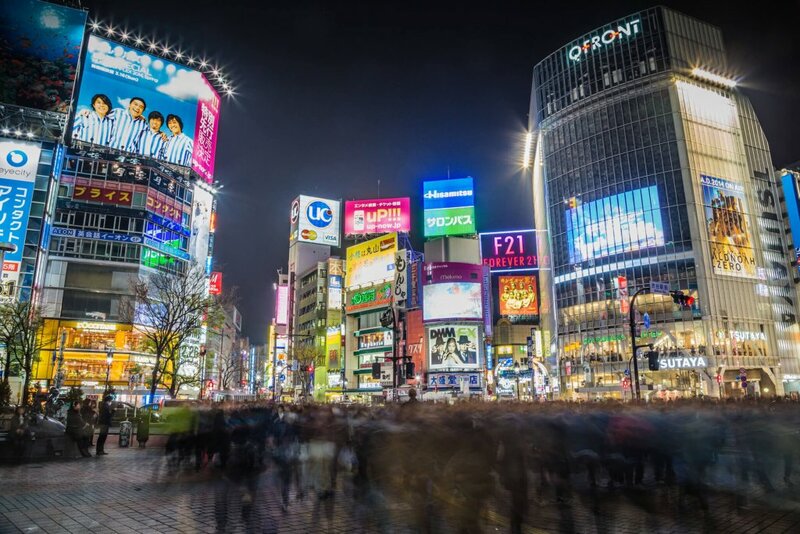 This 3-hour Osaka Night Food Tour will take you on an unforgettable eating excursion through the busy streets and the hidden, less frequented parts of Minami (South) Osaka. 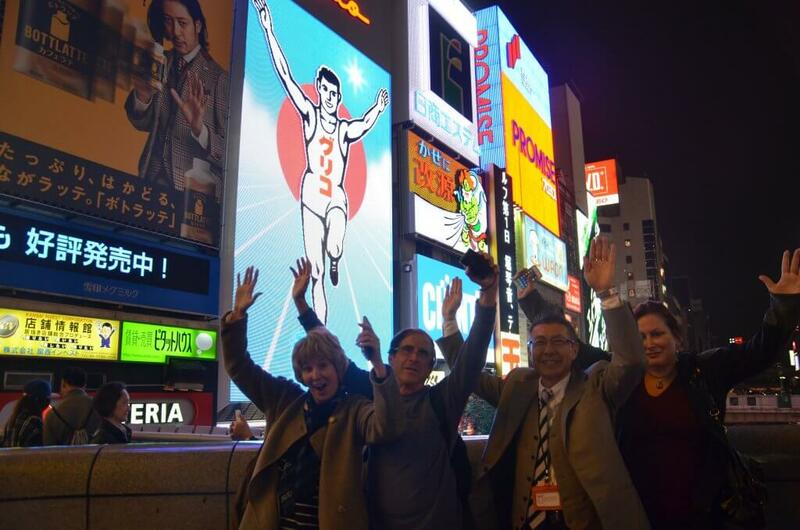 Starting on the the bright and busy Doutonburi area we will learn about Glico man, a Filipino sprinter named Fortunato Catalon who inspired a nation and a company! 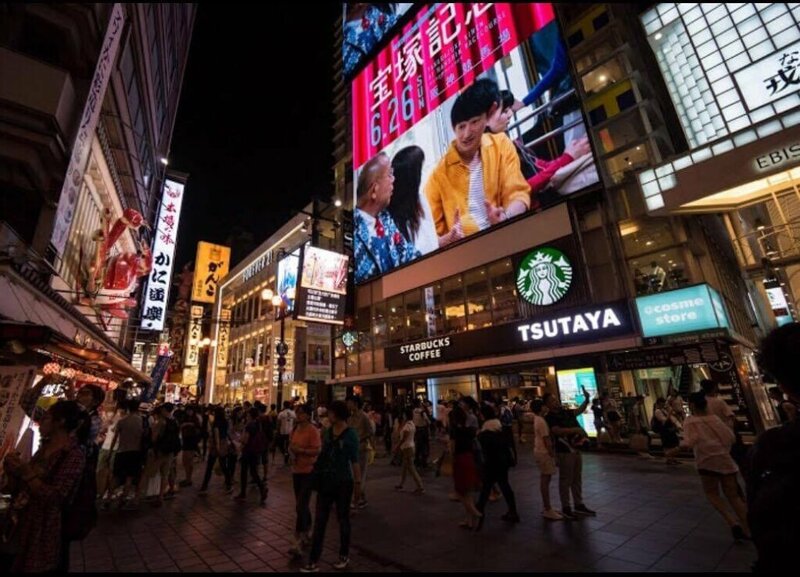 Similar to Shibuya (its counterpart in Tokyo) the lights and sounds of Dotounburi often lead you astray to overly-commercialised restaurants with queues of tourists outside. We want to take our guests to places they would certainly miss without a locals guidance. 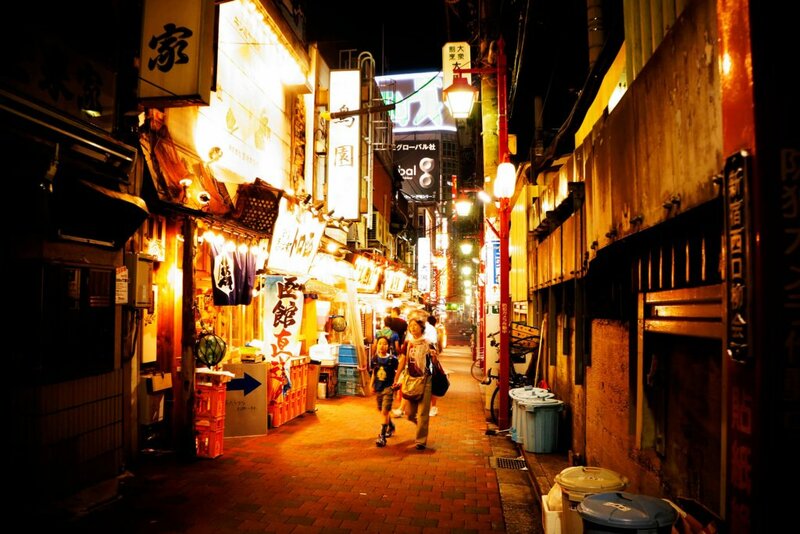 We will take secret alleys not long after we begin the tour toward the shrine wedged out of sight from the average passerby. 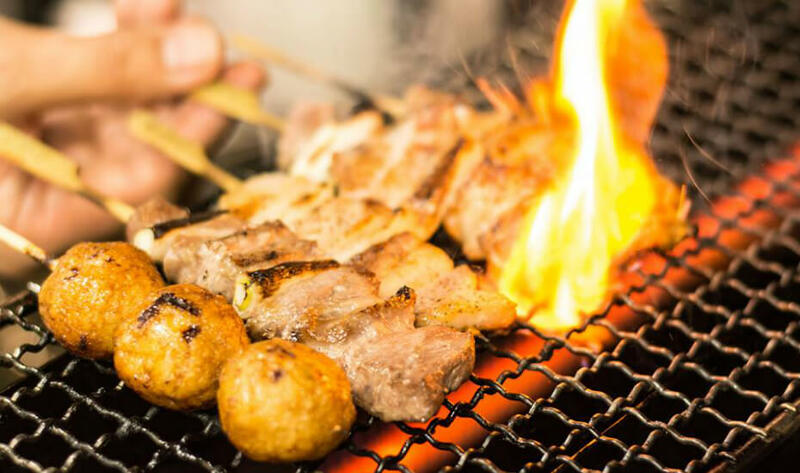 We will sample , Kushikatsu, (deep fried meat and veggie skewers) a local take on Yakitori and we will surprise you with a Michelin rated street food stop for Osaka’s favorite snack– Takoyaki! 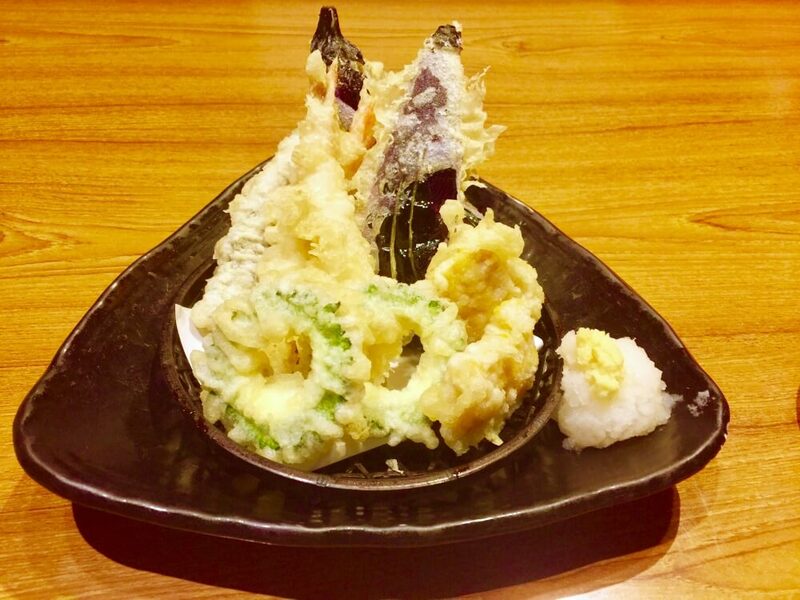 (a kind of grilled octopus fritter) Next, travel down a more narrow alleys and see some of the more unconventional restaurants and pubs. Your guide will then lead you to a local dinner spot. 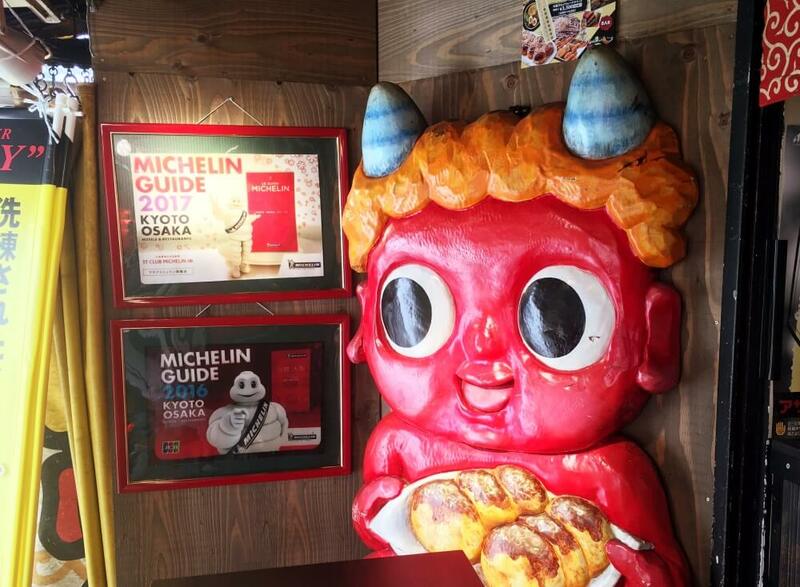 This shop is an Izakaya or local pub with seasonal dishes that will intrigue and delight. 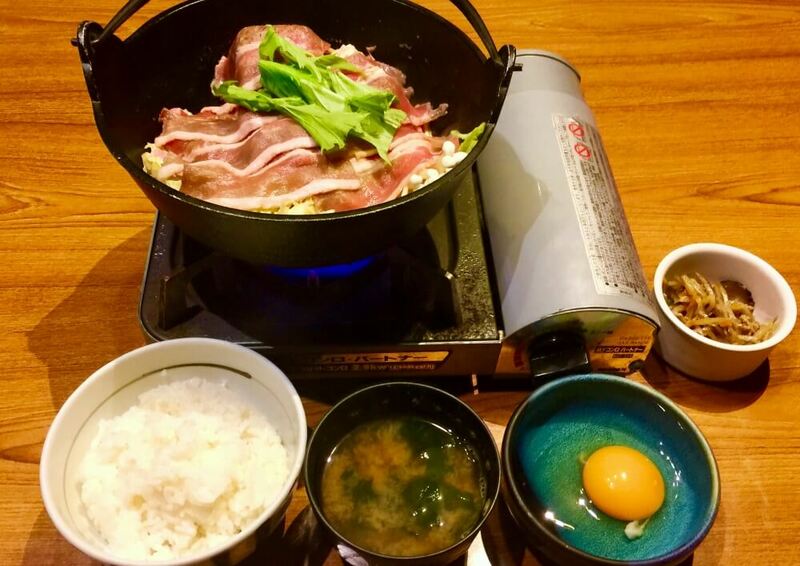 You will enjoy yakitori (grilled skewers), sukiyaki (a delicious simmered beef hotpot), tempura other regional dishes and 1 drink. This spot is very local, you will not find tourists here! 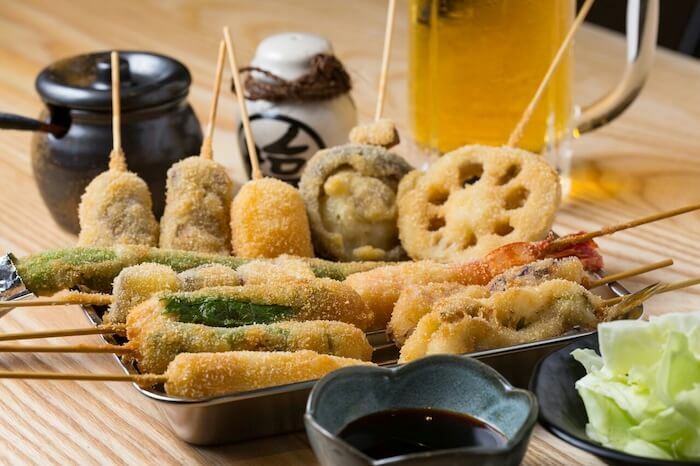 Try a draft beer or Nihonshu (rice wine) with your tasty meal. From there, we will show you a famous building full of hidden unorthodox bars, one after another. Every 5 feet there is a new door with a new adventure to be had. This area gives you the retro, artsy feel of a very hip and very unique cluster of bars. Finally finish off with a tasty local street food dessert! As you say farewell to your guide you can explore more on your own in this fascinating part of town. 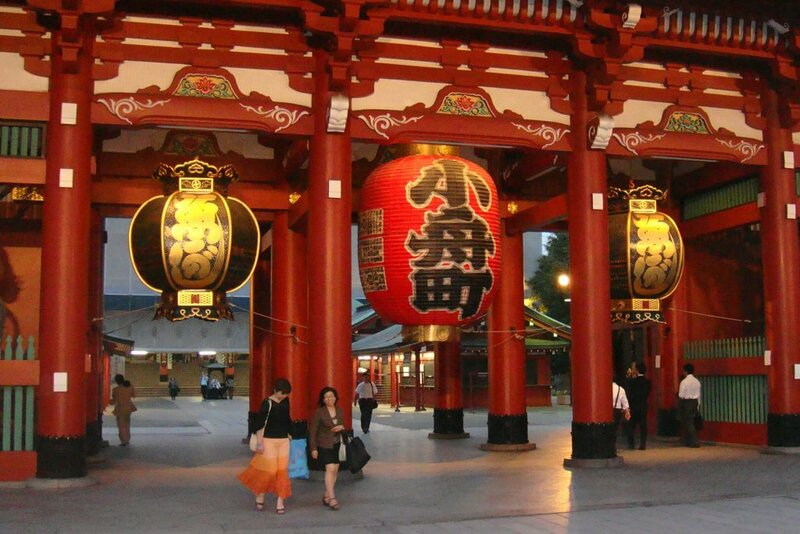 We are able to take single traveler bookings for this tour. Please feel free to book directly and we will add you into an existing tour group. 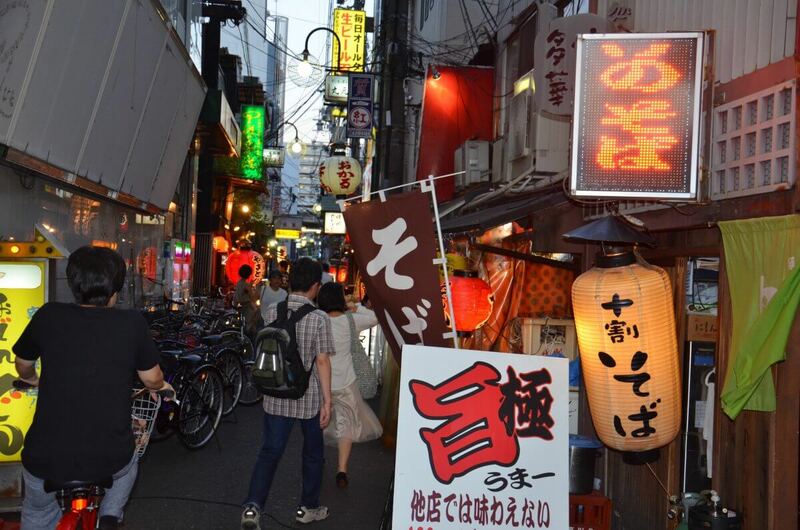 A walk through Dotonburi by taking a secret alley off the main street. 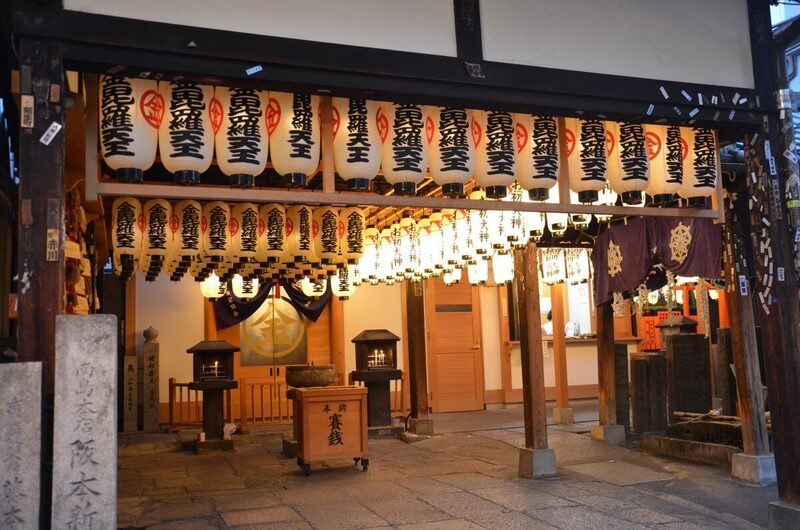 See the lights of the shrine and beautifully lit areas. 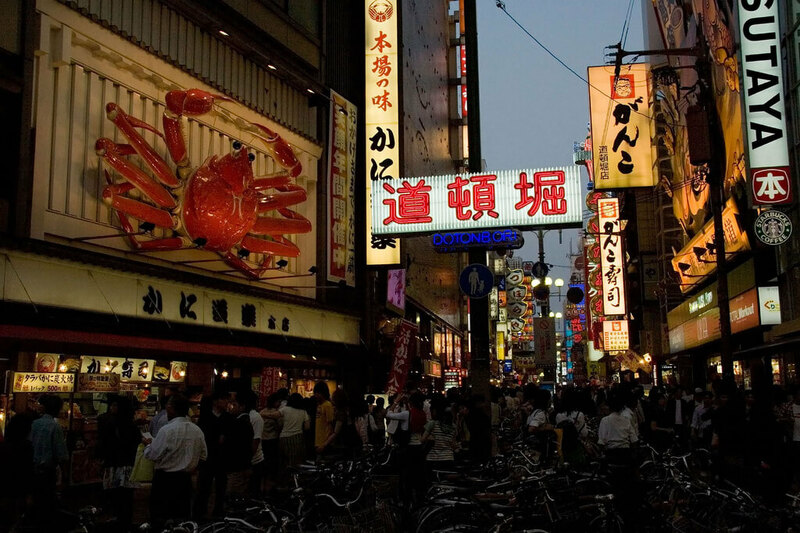 Enjoy Osaka’s specialty, Kushikatsu (fried skewers) try Michelin rated Takoyaki (octopus fritters). 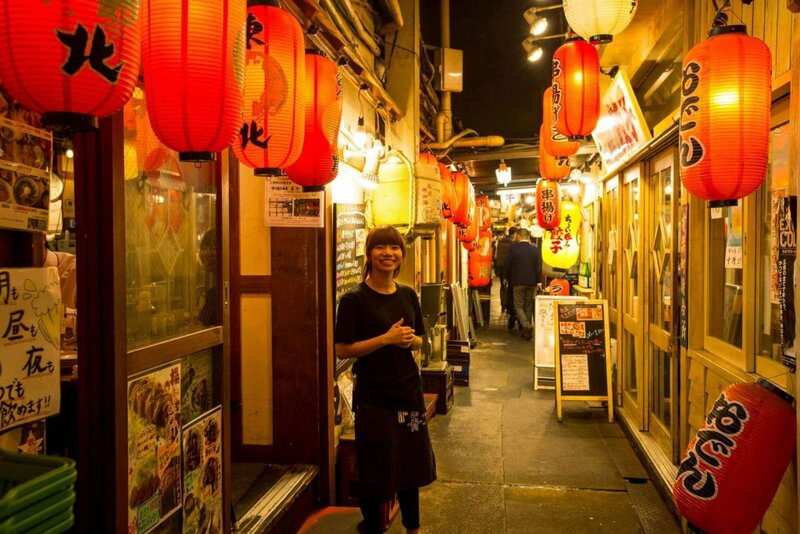 Take the back roads and enjoy a hidden Izakaya, enjoy a drink while chatting with your guide and fellow guests and tasting a wide range of Japanese dishes that change a bit each season. Finish up with a yummy local dessert! We have a strict policy about starting our tours on time. This is to project the enjoyment of all our guests and restaurant partners. We are sorry to say that if you are not able to arrive at the meeting point by the departure time, the tour will start regardless and no refund will be provided. 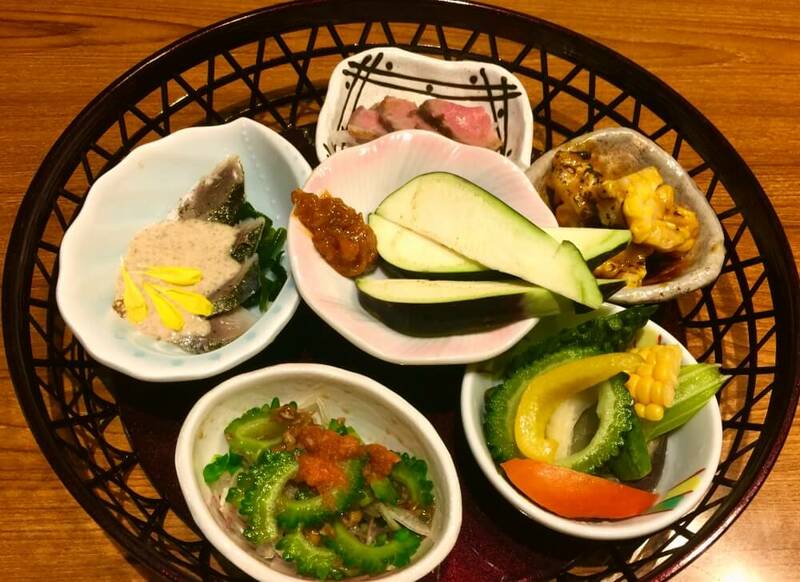 We are also unable to accommodate meeting up in any of the food stops once you’ve missed the start of the tour..
“Highlight of Our Trip - Tours in Osaka and Kyoto” On our second visit to Japan, we experienced two tours with Arigato Japan - the Osaka Food Tour and the Kyoto Nishki Market Tour. 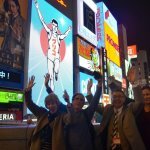 Toshi as a guide is beyond 5 stars and these two tours were the highlights of our trip. 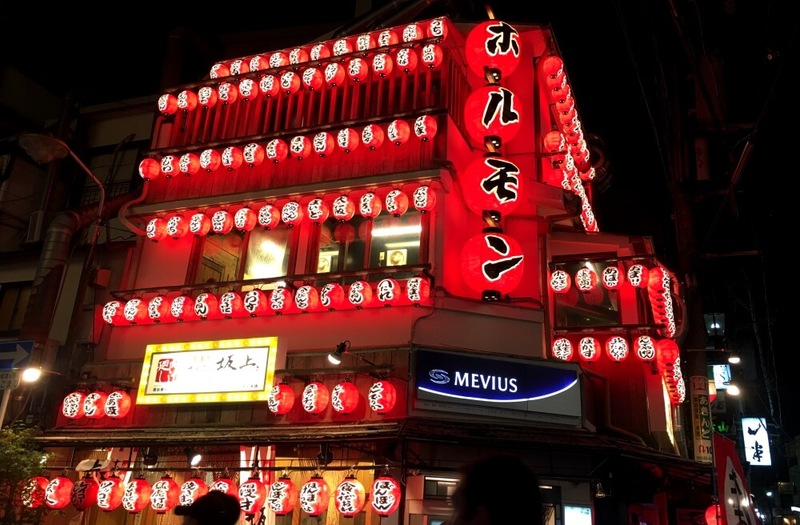 The Osaka Food Tour was such a memorable evening that we decided to back track to Kyoto (which we had already visited) solely to do another food tour with Toshi. 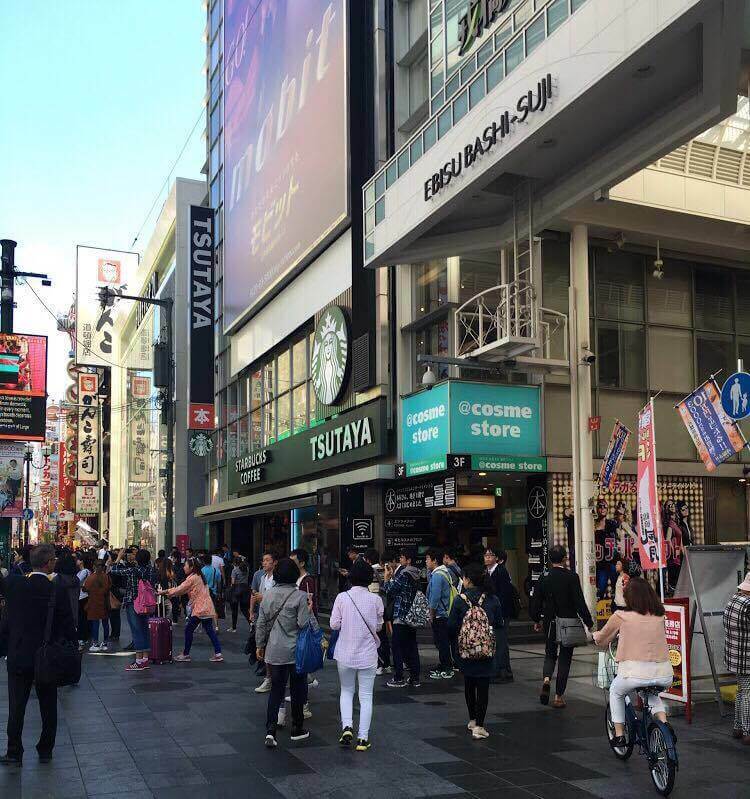 The meeting point is in front of Starbucks Tsutaya Ebisu-bashi in Dotonbori.